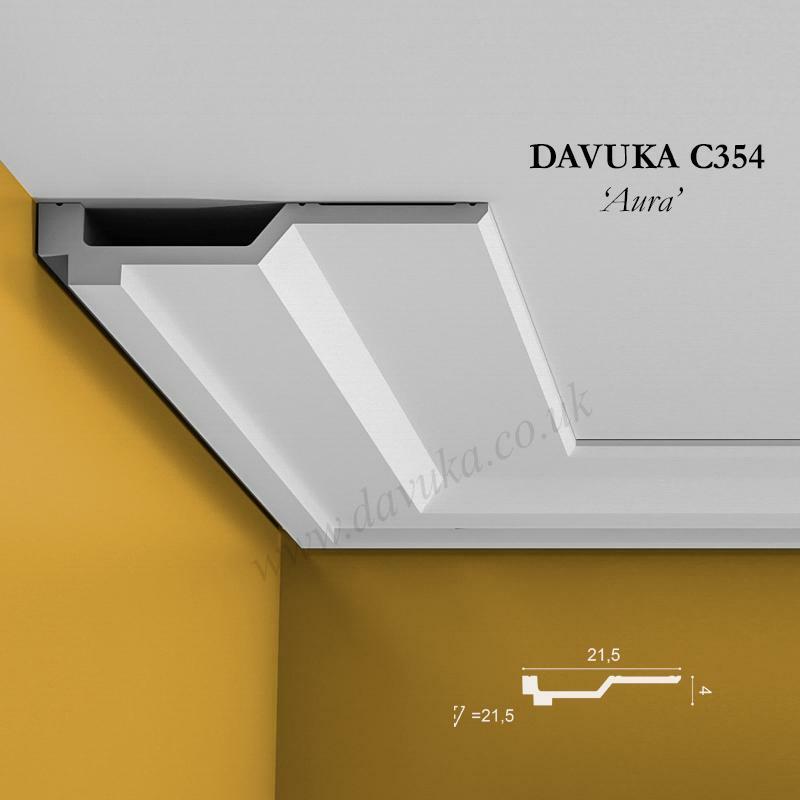 Our ‘Aura’ really says it all – a true statement of striking modern design, the largest of this contemporary range of ceiling fitted profiles. 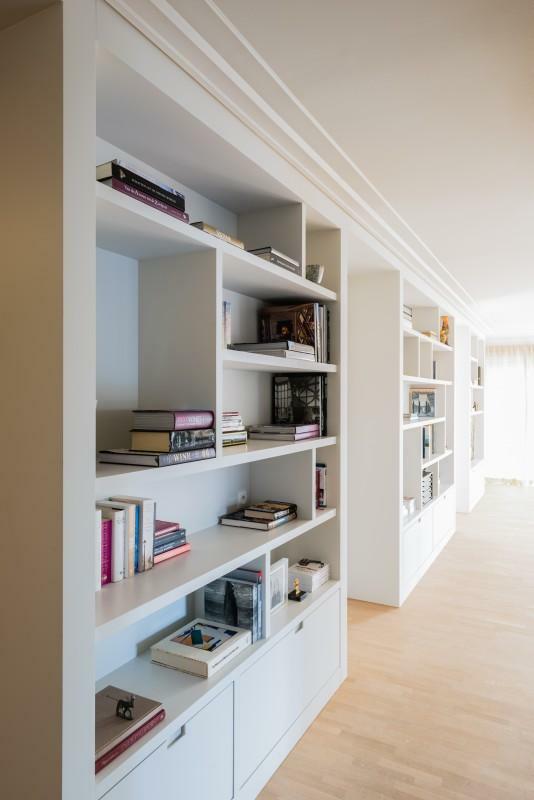 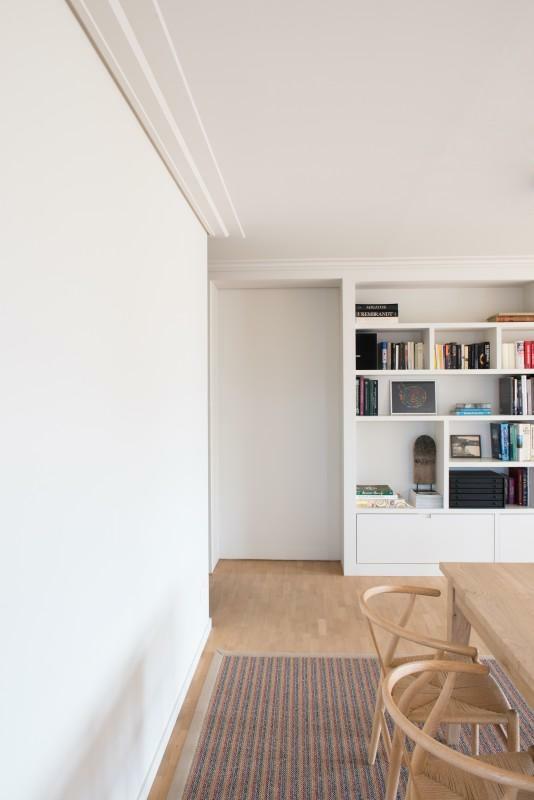 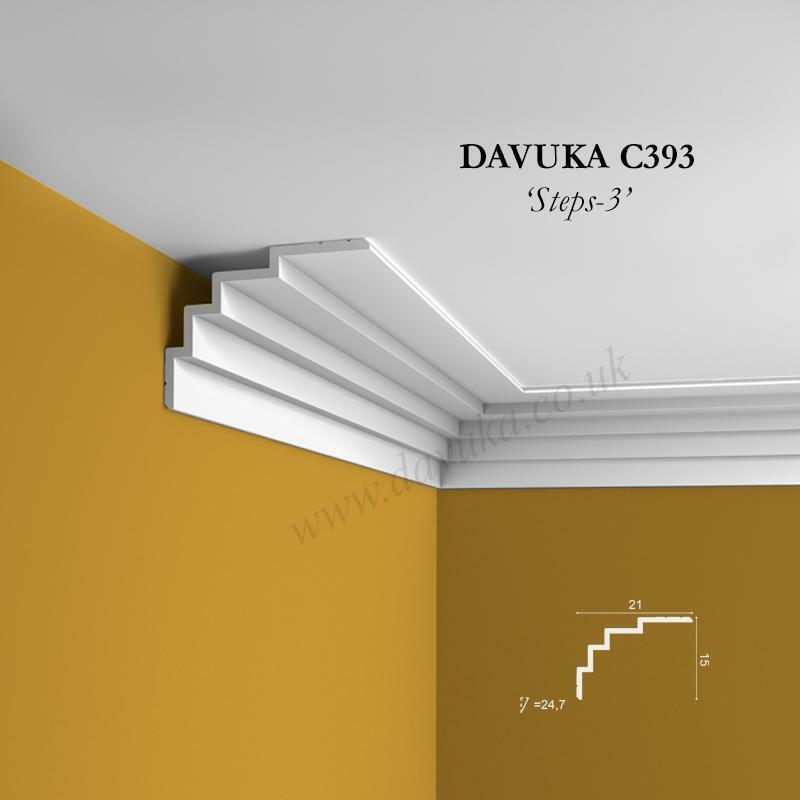 Like the C353, the incorporated shadow line makes decorating finish (paint or wallpaper) much easier and gives the effect of ‘floating’ on the ceiling. 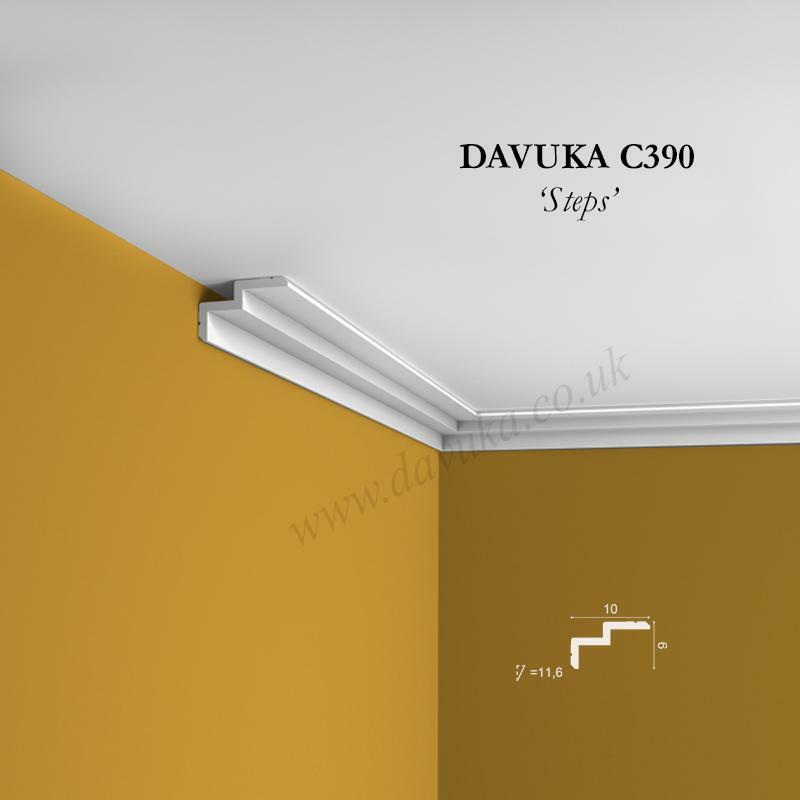 Looks absolutely fantastic in a spacious room that showcases a design themed interior. 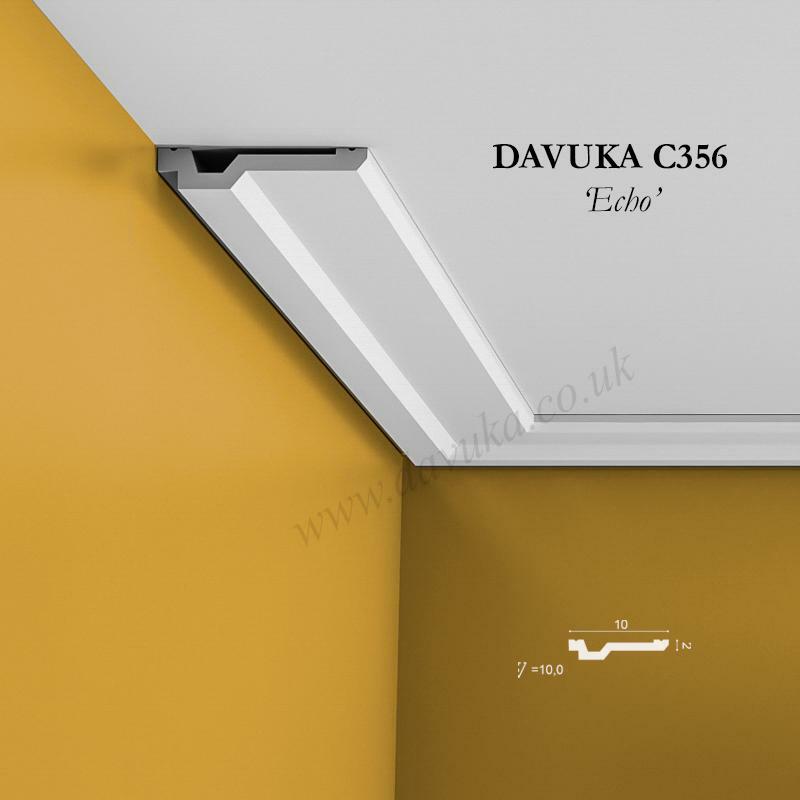 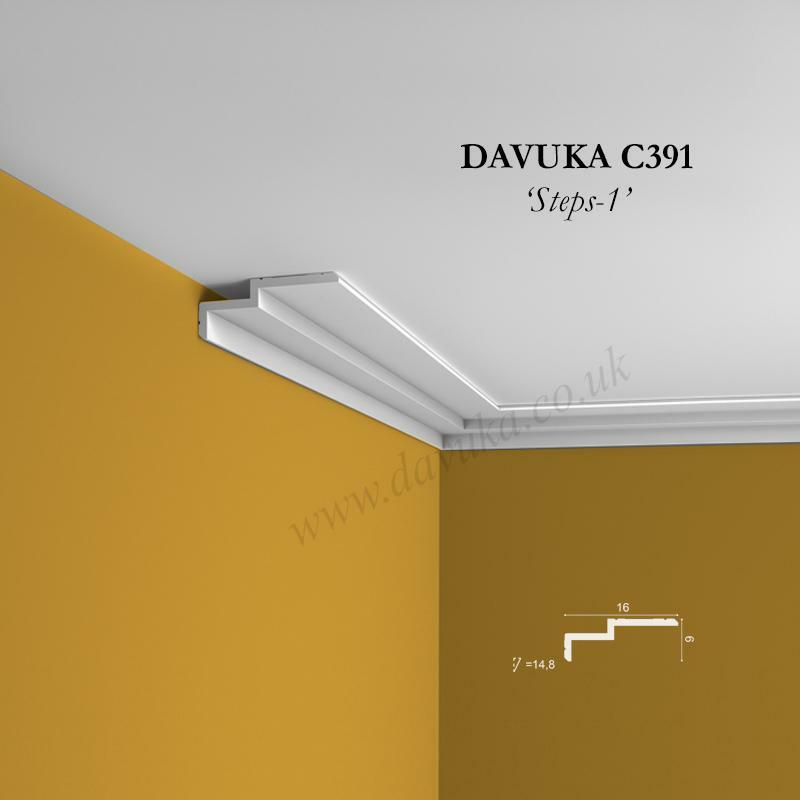 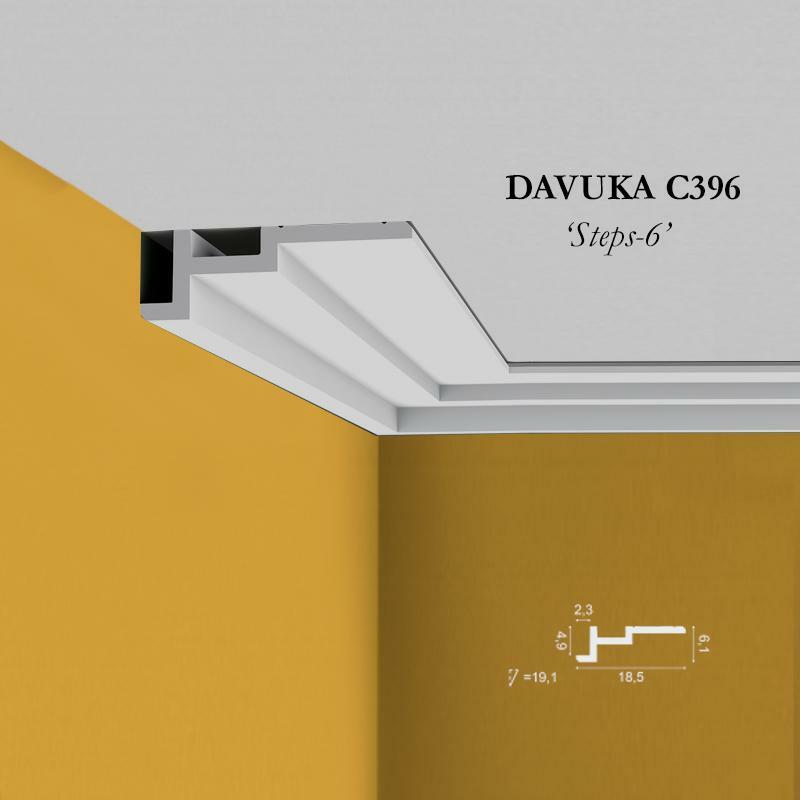 Using Correct Adhesives for the C354 ‘Aura’ cornice – IMPORTANT!